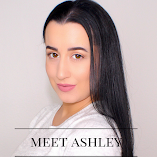 Why did you name your blog Ashley Riley Beauty? I chose to use my real name because I thought it sounded the best in my head. I came up with several other creative titles, but in the end I stuck with my original choice. I wanted to connect with others with my similar passion for beauty, makeup and cosmetics. Does anyone else help to edit your posts? Nope, just little old me. I usually bounce ideas off my boyfriend, but this generally only entails gaining his opinion on the structure of my posts and business ideas. When I talk to him about makeup he usually falls asleep. As of late October 2015 I have been using my new Canon Rebel T5. Previous posts were shot using my iPhone 6. Where do you usually take your pictures? I take them right in the comfort of my own house. Often I will brighten or sharpen my images in order to bring out the true colors of the beauty products I am picturing. Do you plan on expanding at all? Yes! I have many, many creative ideas and plans for the future. Check out my 2016 Blogging, Business and Life Goals! Are any of your posts sponsored? I believe in being completely open and honest with readers, and in building relationships together based on the mutual trust that the advice I give on products is genuine and unbiased. I do not endorse products on my blog that have not been tried and tested true by myself. All posts written are based upon my own personal experiences and opinions because my integrity towards my readers comes first before all else. If I ever chose to do a sponsored post it will be well noted in the title of the blog post so that readers do not have to click on the post if they feel uncomfortable about sponsored posts, and it will be visibly noted within the post itself. Also, if a product I refer to within a blog post is a PR sample or in any way related to any affiliate, these will be clearly noted with an asterisk (*). This blog does utilize some affiliate links, which generates some income to support this website and allow readers to continue enjoying quality posts. Where do you frequently shop and what are your favorite brands? For beauty products I stick to Ulta, Sephora, Cult Beauty, Morphe Brushes, ColourPop, BH Cosmetics, and Makeup Geek. For clothes and accessories I often shop at Plato's Closet, ShopStyle, ASOS, and Want My Look. This is equivalent to choosing a favorite child. As difficult as this may be we all inevitably have one. Venti Iced Skinny Caramel Latte. All work within this blog is covered by copyright. Any use, including copying, uploading, republication, reposting, or duplicating of content and photos is prohibited without express written permission. Please do not use, copy, or republish this blog's content on your blogs, social media accounts, websites, etc. without first receiving permission. If you "share" a post or any of its content, credit must be given to this blog. It takes hours of time in research, photographing and writing to complete reviews and create posts. Please be considerate and respectful of the time invested into this work, adhere to the copyright, and give credit where credit is due.